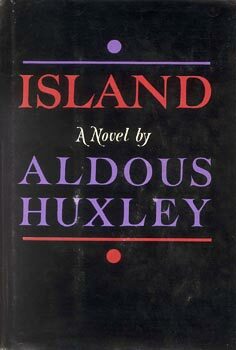 "In this book Mr. Huxley has said his final word about the human condition and the possibility of the good society. Island challenges the political scientist, the psychologist, the philosopher and the theologian. the reader's reaction will depend on his own postulates -- in particular, whether he considers the human predicament curable by growth in awareness or whether he finds man's condition so deeply poisoned at the roots of being that both spiritual surgery and spiritual growth are required. In short, can man save himself? It is the achievement of the book that it vividly dramatizes these very questions. . . . Island is a welcome and in many ways unique addition to the select company of books -- from Plato to now -- that have prsented, in imaginary terms, a coherent view of what society is not but might be."